A stakeholder is simply anyone with an interest in your project or program. Stakeholder management is one of the most important aspects of program or project management. Get it right, and you are a long way towards having your project run smoothly – your relationship with your stakeholders will be strong, and they will be committed to helping your project succeed when you call on them. Get it wrong, and even if you’re project meets all its requirements it might still be perceived as a failure. Think about that for a moment. Who decides what the deadline for your project is? Who determines what a reasonable budget for your project is? The answer is your stakeholders. This is why you need to ensure you have a plan for managing your stakeholders. 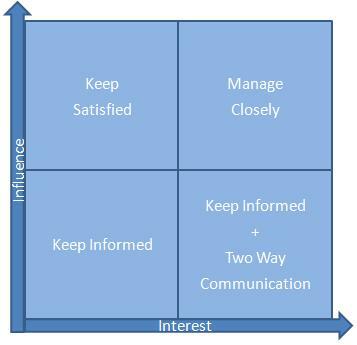 In a previous article I showed you how to create a stakeholder map by mapping stakeholders according to Involvement and Influence. Role: Add the stakeholder’s role. They may have two roles, one within the project and another within the organization. If this is the case, add both roles. Involvement: How closely involved with the project are they? Influence: How much power could they wield over the project if they chose to? Supporter: Do they currently support the project? 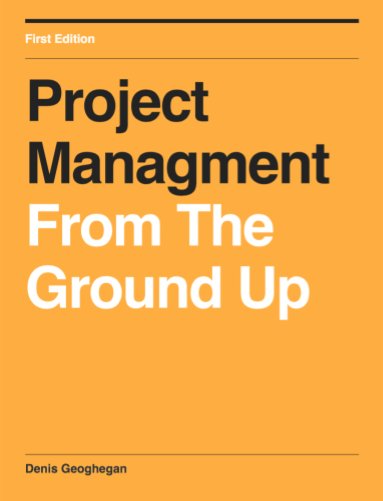 Win Criteria Met: does the project deliver what they want from their perspective (not yours)? Make sure stakeholder win conditions are met where determining the project scope. Motivation and Comments: What is motivating the stakeholder? For example, do they desperately need the project to be delivered to meet their targets, or do they just want to look good? By examining each of the stakeholders in the same way as the stakeholder analysis example, we can develop an in-depth understanding of the weight they could potentially bring to bear on the project, as well as their motivations. This document is intended for your use only as the project manager, so feel free to capture both their official motivations and unofficial motivations. This will help you to formulate a better strategy to bring them onboard. The template above may look trivial, but by completing it for each project you manage, it will force you to think about how you’re going to manage every stakeholder. Stakeholder management is a frequently overlooked, but as I mentioned at the beginning of this post, it is nevertheless a very important aspect of managing any project. Your projects will almost certainly run a lot more smoothly if you’re able to get all your stakeholders onside and committed to your project. In fact, you may find that if you have all your stakeholders on-side and keep them on-side throughout the project, then projects can be perceived as a success even if they are late or over-budget. I’ve uploaded the stakeholder analysis template here for you to use – the real benefit of this template is that it forces you to spend time considering how best to handle each stakeholder. It was a excellent template. I developed a excel sheet similar this.